Restaurant workers have to deal with a lot in their jobs. They have demanding managers, crazily busy shifts, often low pay, and worst of all, some truly horrible customers. While many of us have to deal with being busy at work, and some people are unlucky enough to have to deal with bad bosses, the restaurant trade has to deal with nasty customers. Customer service is something many people who work in retail will have to learn pretty quickly, but customer service is code for dealing with unreasonable requests made by impatient people. That is even more apparent for anybody working in a restaurant. You’ve barely got the time to remember your own name, but you’ve still got three tables waiting on their food, so you have to find a way to make miracles happen on a daily basis. It seems as though many people just don’t understand how hard it can be to work in a restaurant. No matter how much you explain it to them, they really won’t get it unless they experience it for themselves. 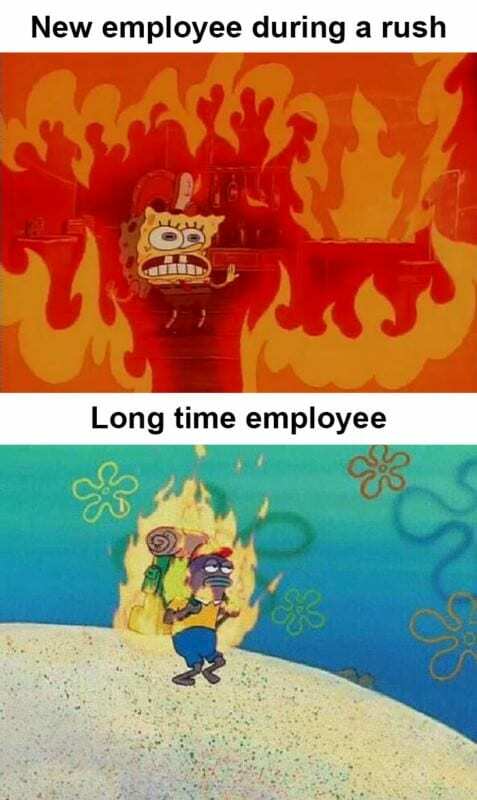 If you are struggling to perfectly capture how you feel when working a shift at the restaurant, then you’ll love these pictures. They have managed to grasp every emotion you go through while trying to outwardly look happy. Just finished a particularly horrible shift? These images will perfectly depict your pain. 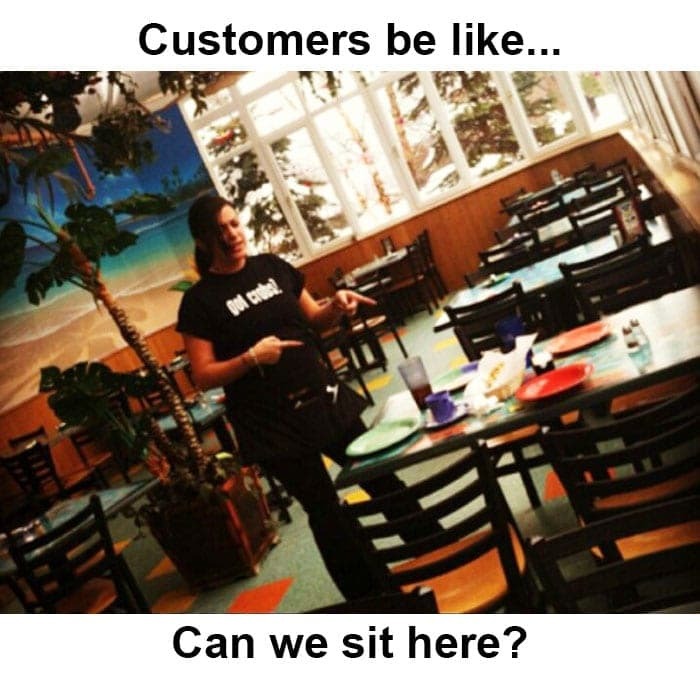 It seems as though customers are just drawn toward dirty tables. You can have a restaurant full of clean and empty tables, but when given the choice of a place to sit they will take a pew at the one table that hasn’t been cleaned yet. Worse still is that they will ask you to clean it for them, as if you hadn’t noticed there was stuff on it. Just when you thought you were going to get a moment to have a quick break, they are putting you to work sooner than expected by picking the dirty table. Who comes to a restaurant and deliberately chooses to sit at a dirty table anyway? 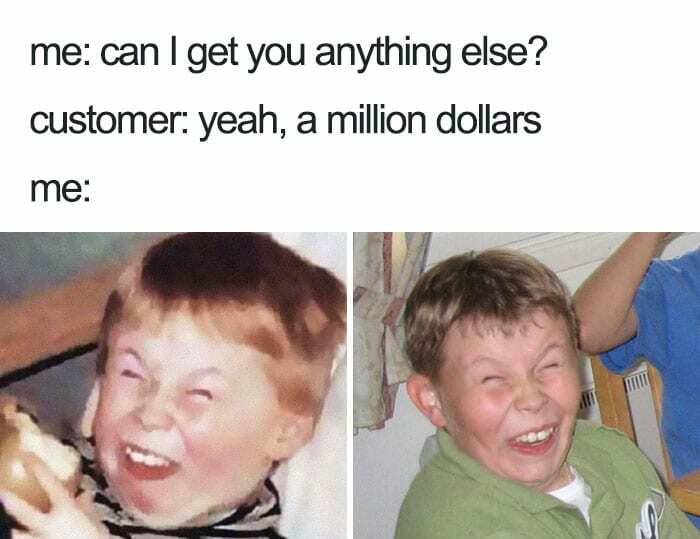 If we had a dollar for every time we’ve heard this joke, we might actually be able to give those hilarious customers the million dollars they think we have hidden in our pockets. 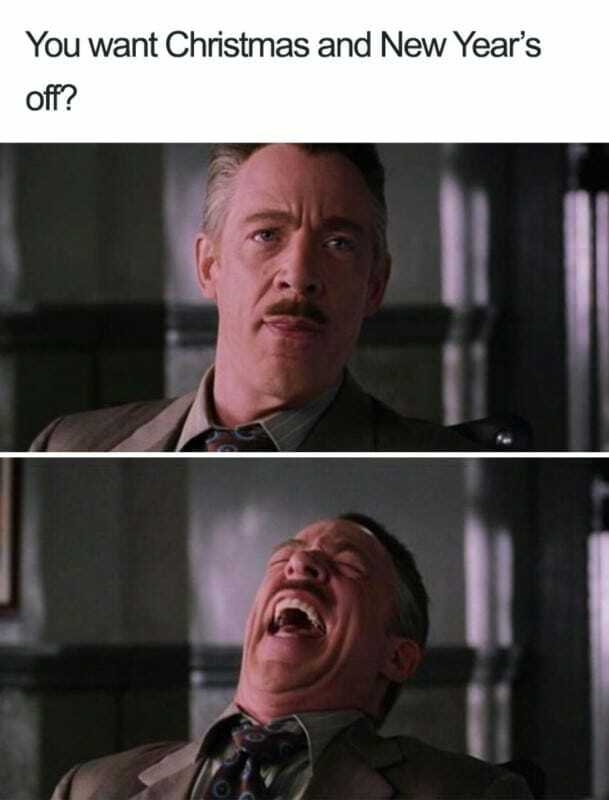 Dad jokes are all good but come on, at least try and be original. This is the moment of the evening when your eye-rolling skills will come in handy! At least you can fire back with an equally unoriginal response, tell them it’s not on the menu or if you could then you wouldn’t be working here. Sometimes you just have to fight fire with fire, and the perfect response to a terrible joke is an equally terrible joke. Sometimes when people are celebrating their birthday at your restaurant they do a nice thing and offer you a slice of their cake. Well, it would be rude to say no, and you haven’t eaten in about five hours, so you aren’t going to turn your nose up at a bit of free food. 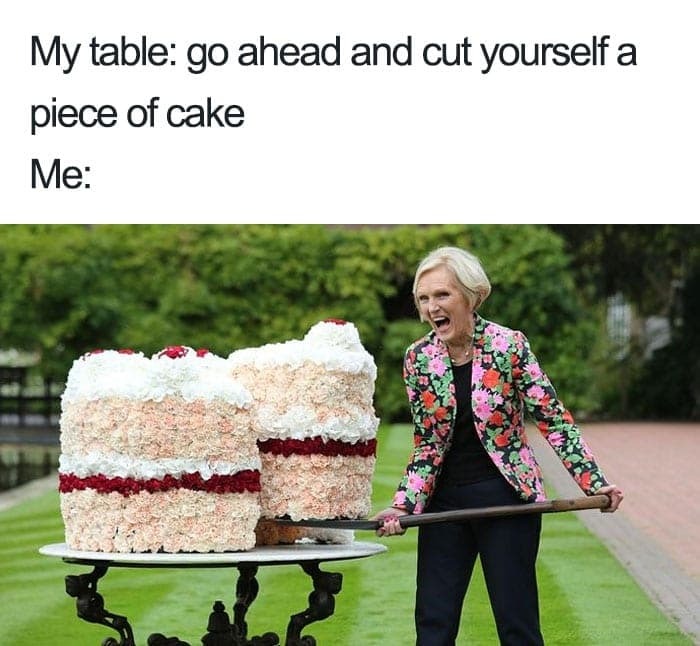 When you begin cutting a slice, this is what is going through your mind. You just want a big chunk of that chocolate cake and then ten minutes to yourself to be allowed to enjoy it. You’ve been working the early shift, and you are due to go home soon. Your manager appears to be asking out of interest what your plans are for the evening. 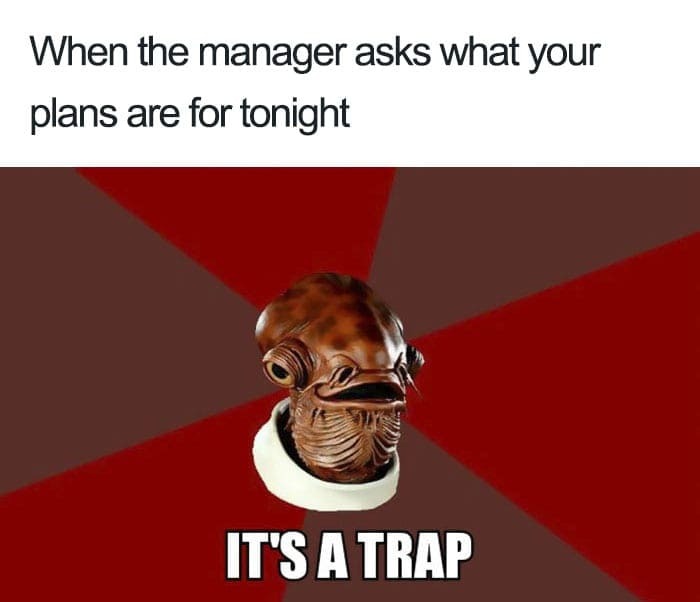 You know there might be an ulterior motive so you quickly have to invent some plans that you simply can’t back out of just in case they ask you to stay and do the evening shift too. Really you’re just going home to sit in your sweatpants, but your boss can’t know that. 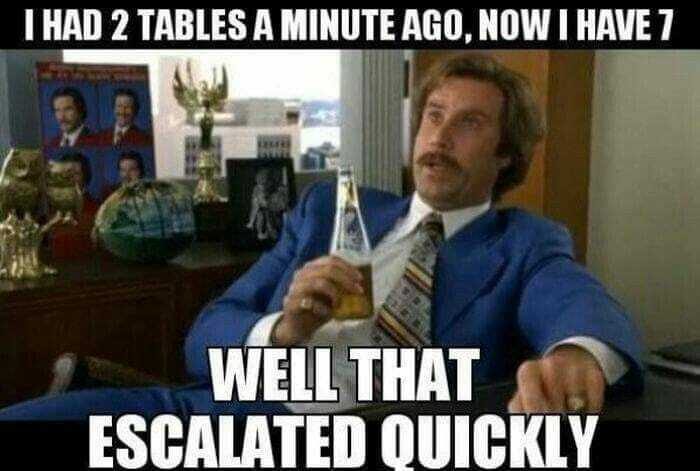 When you first started serving tables, it seemed as though there was literal fire everywhere and it was your job just to put them out wherever you could. As you get more experience you realize that instead of putting the fire out you just need to carry it around with you, it becomes the norm. Now you are so used to everything being a blind panic that it’s just second nature to you. You would feel like something’s wrong if you go to work and everything goes smoothly. Sometimes you just get a table that you hate having to serve. 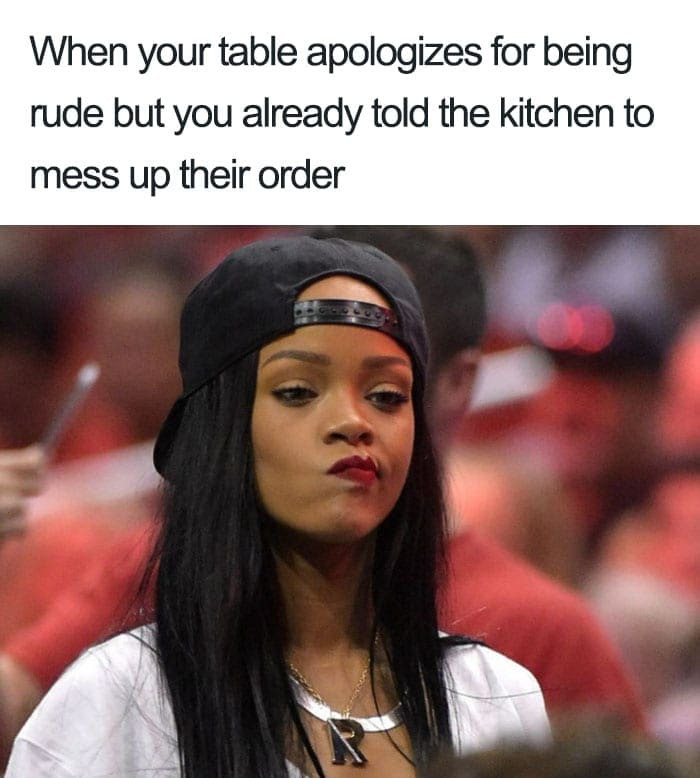 The customers have been rude ever since setting foot in the restaurant, and you’ve been the unlucky person having to serve them. To teach them a lesson that they don’t even know they are being taught, you decide to ask the kitchen to get a few things wrong on their order just to inconvenience them. Shortly after that they apologize for being rude, you feel, but the wheels are already in motion, you can live with yourself though! It’s perfectly reasonable to expect to close the doors at closing time, but that doesn’t stop people trying their luck at getting some food right at the end of the night. Even if you wanted to there is no food for them, they’ll simply have to try their luck somewhere else. What a shame, we’re sure the restaurant down the street will welcome them with arms wide open. Thankfully we got our doors locked before they arrived though! We aren’t sure who came up with the myth that the customer is always right, but that is just not the case. Although of course we will try and help the customer out if we can, sometimes what they are asking for is just unreasonable, or downright wrong. On the occasions they are wrong, despite what we have told them, we can’t help but smile smugly on the inside as we knew we were right all along but have had to jump through 37 hoops to prove it. You really don’t want to work the extra shift, but as you couldn’t think of a good excuse why you couldn’t, you begrudgingly agree. That doesn’t mean you aren’t going to kick up a stink about it though. 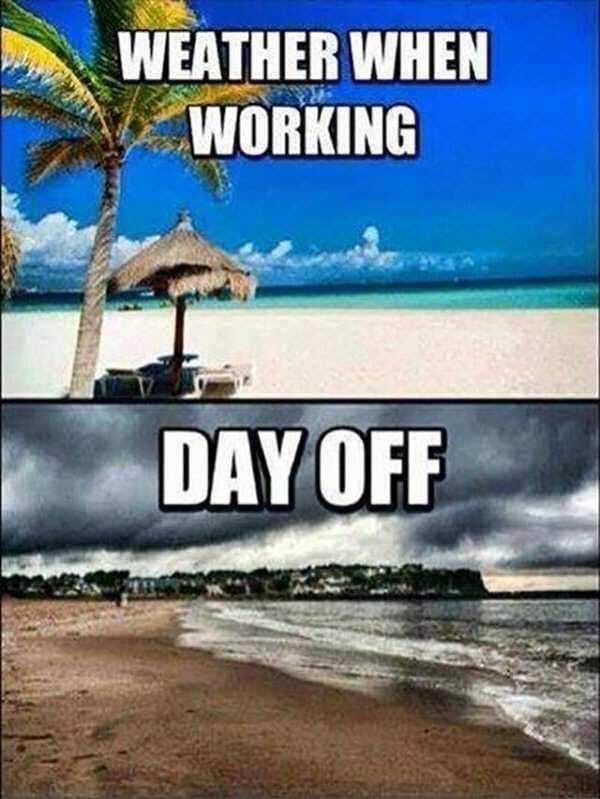 They can have you there in person, but there are conditions to that agreement, mainly that you will have a foul attitude for the duration and will do the bare minimum of what qualifies as ‘work’ during that time. They can have you, just not at your best. You have been chosen to show the new employee around, and you are trying your best not to make them run away screaming. As you are giving them your guided tour, you point out the best place to go and have a cry when things are just getting too much for you. 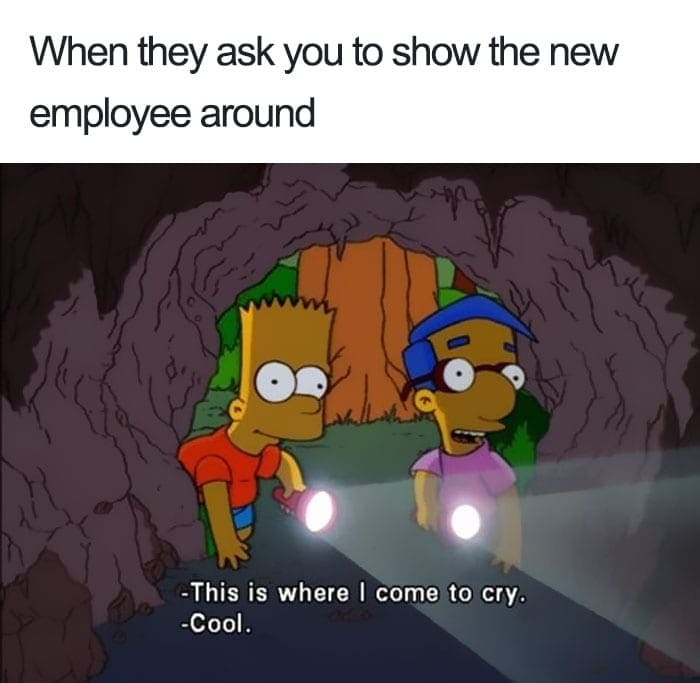 They just need to know there will be a line to gain access to the crying spot as everybody goes there, all the time, it’s not even funny anymore. You watched them get out of their car in the parking lot, something inside told you they were going to be headed your way. 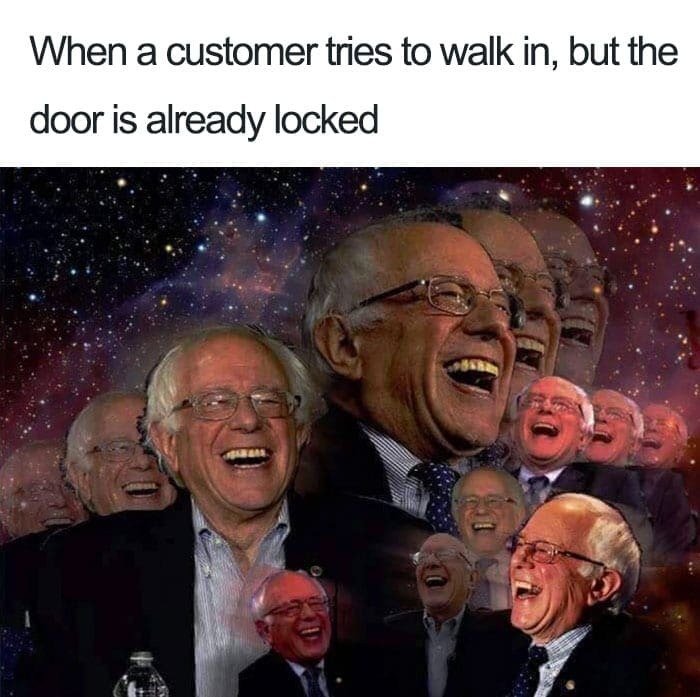 Sure enough, your instincts were right and they make their way into your establishment. Someone is about to have a hard time trying to serve these customers, and you’ve got the manager waiting in the wings ready to swoop in when the inevitable request to speak to them comes in. You just pray that it’s not your table they get seated at. The customers at your table are firing orders at you left, right, and center. You thought you could keep up with their demands, but you realize you’re falling behind. 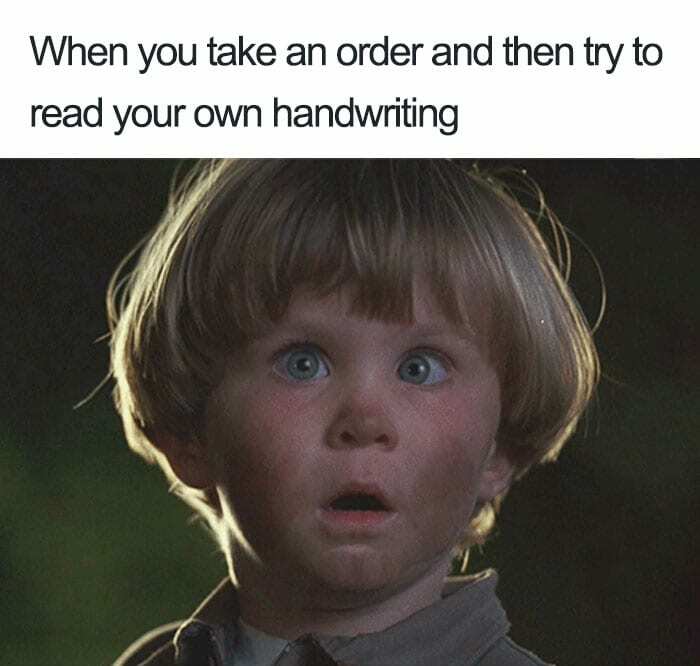 The only way to make sure you get all of their orders is to turn your handwriting into a scribble, you’re sure you’ll still be able to read it later though. As you go to punch in your order you come to a sad realization, you literally cannot understand a single word you wrote down. It’s time to make some orders up! 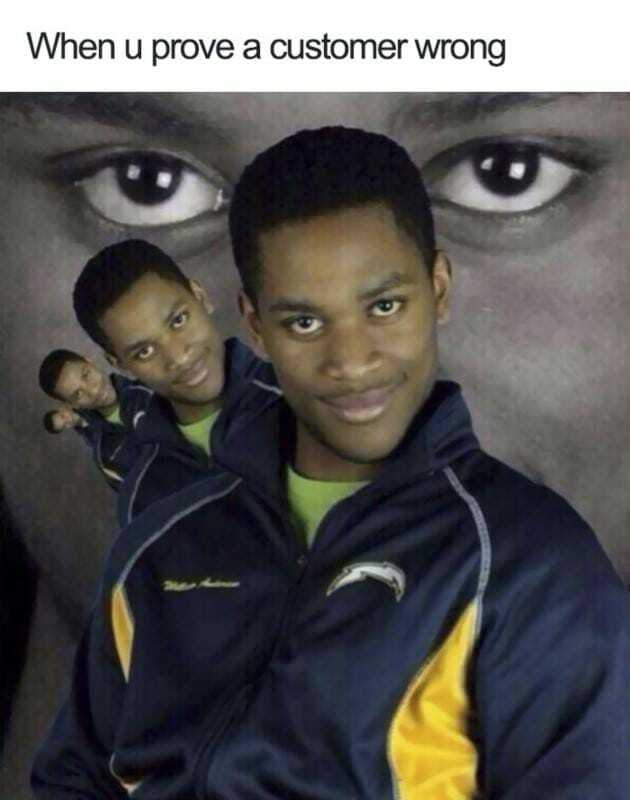 You’ve been shadowing someone for a while now, and finally, you think you’re ready to deal with tables on your own. 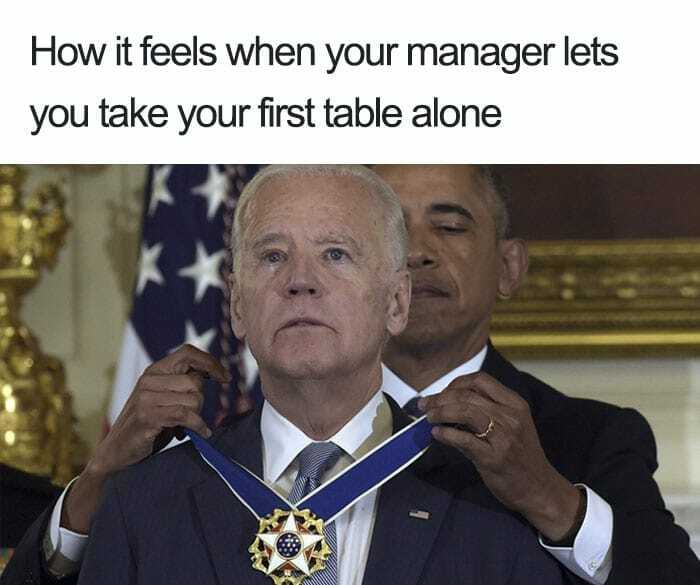 Your manager shows faith and lets you deal with a table solo, you couldn’t be more proud. It really does feel as though your manager has total faith in you and you feel invincible. Shortly after taking the order you realize you forgot the drinks, and you’re pretty sure you managed to offend someone, but it doesn’t matter, you survived the first and it’ll only get better from there. 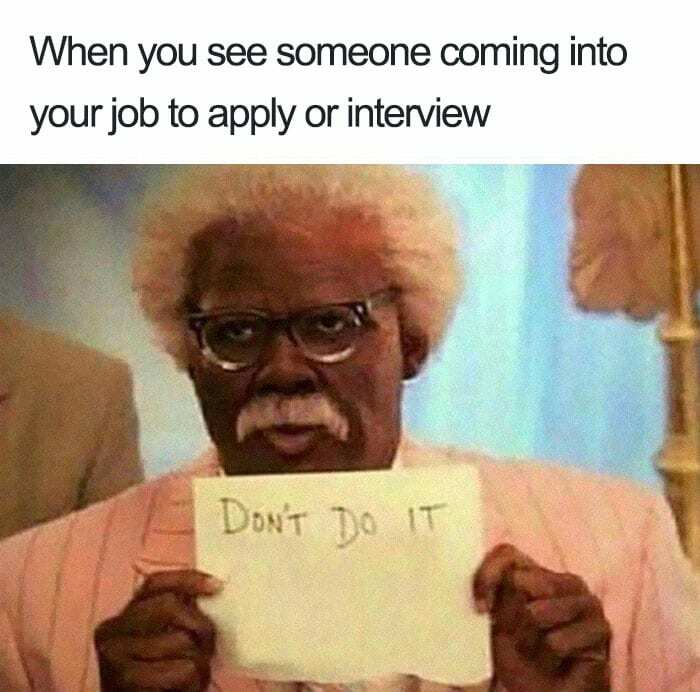 You’ve seen someone come in and apply for a job and you wish you could just grab them, shake their shoulders and tell them to run for the hills but you can’t. Your manager is watching, and you’re pretty sure they’d notice. You need to get a secret message to this poor soul before they go ahead and agree to work here. They inevitably regret applying, you regret not warning them but two weeks later they already work there, and now you have someone else you can complain to! Normally when you approach your table, people get their hands, phones, or drinks out of the way so you can serve their food. They came here to eat so why wouldn’t they want their food to go on the table? 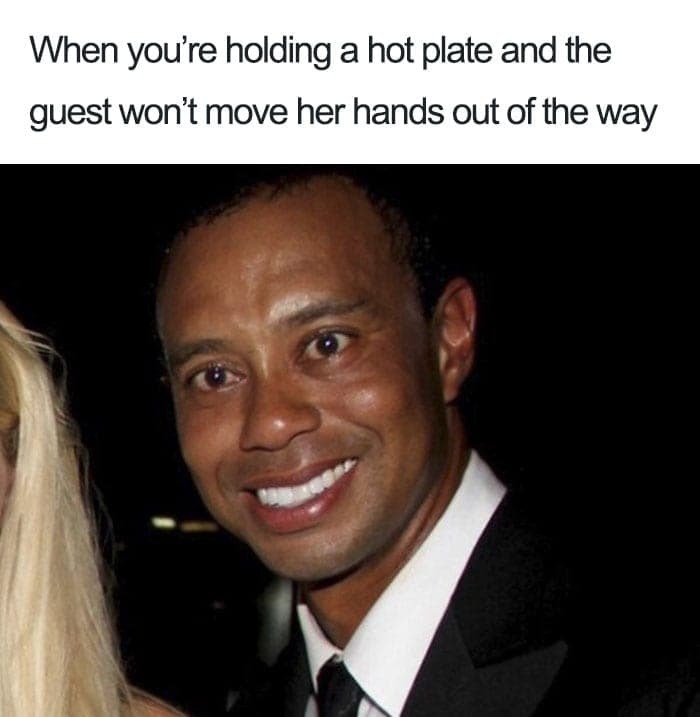 Sometimes customers can be so oblivious to what is going on that they simply don’t get their stuff out of the way, that wouldn’t be so bad except this plate is really hot, and you’re pretty sure if you hold it any longer you’ll have to go to the burns unit. 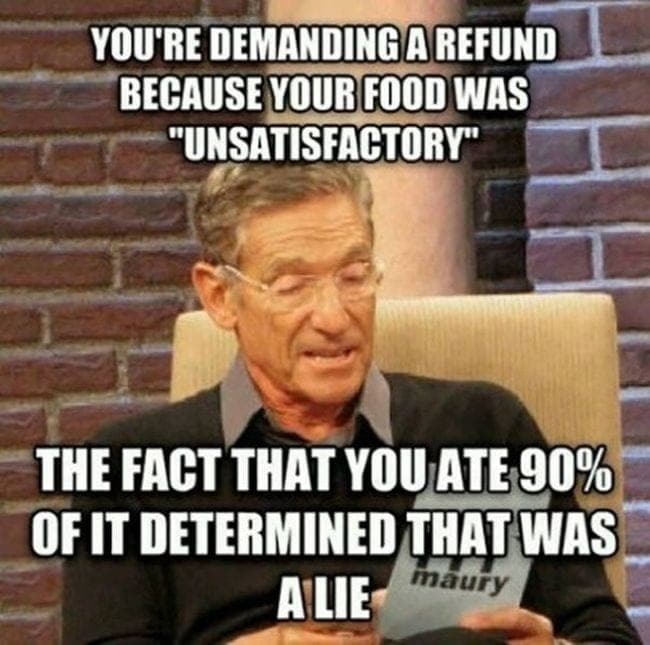 Sure your customers are expected to pay for their food but having some common decency doesn’t cost a thing. 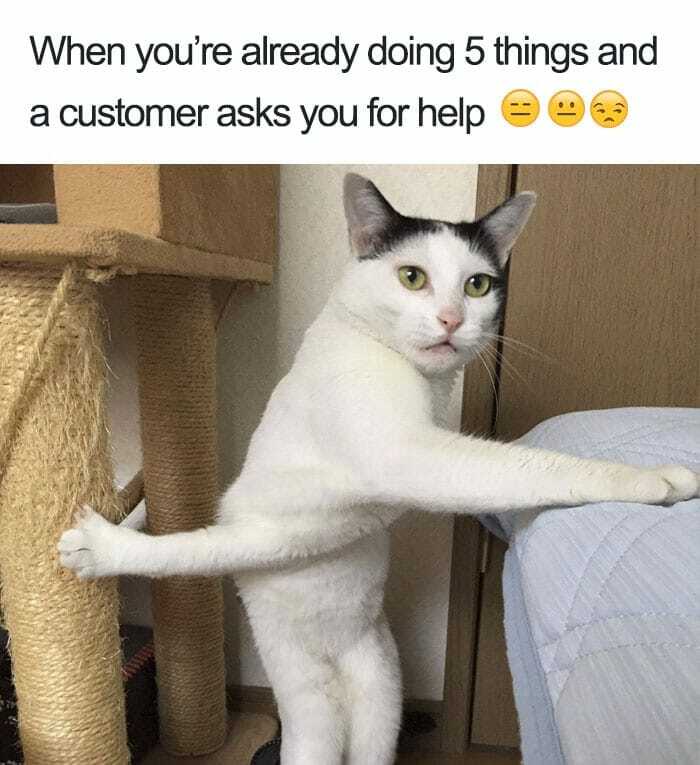 Sometimes your customers will just see you as ‘the help’ and look down their noses at you, barely acknowledging your existence. Even just giving them a simple and courteous greeting it is not reciprocated. We’re here to help, it’s our jobs but come on, we’re still people. It’s not like this only happens in fancy places, people do it in all kinds of restaurants. Some customers seem to expect service that only a few five-star hotels are able to provide, even if this is an all you can eat place. If they have a complaint, you can bet your tip they are going to be aiming it at you. You will have to hear all about it, and it’s actually going to be your fault too. 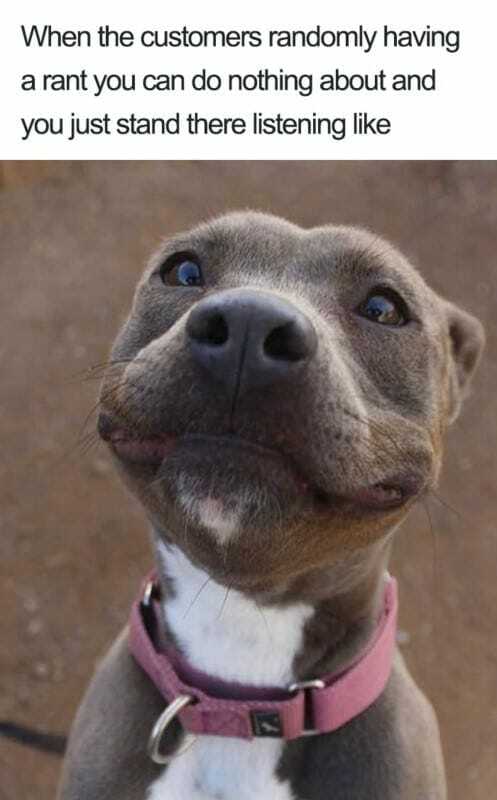 All you can do is listen, bite your tongue and give them a smile. Sometimes stuff falls on the floor, it happens. 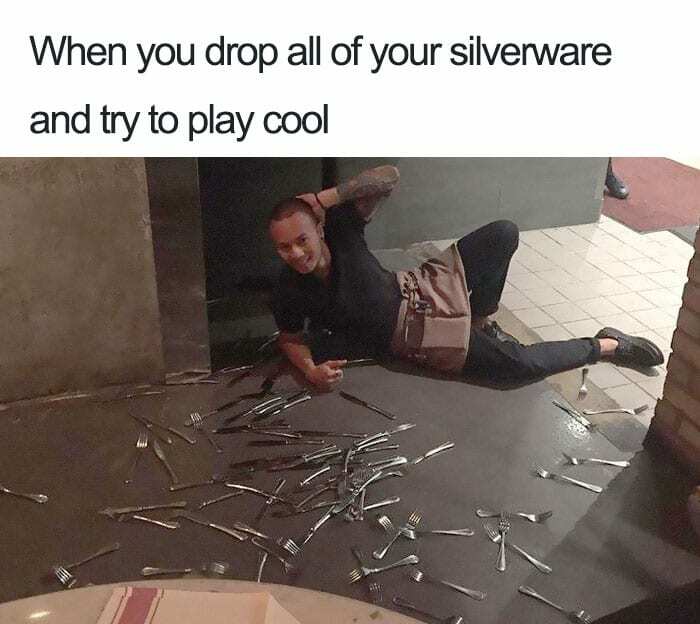 If there is one thing you can guarantee when dropping a pile of silverware is that all eyes will be on you. Instead of just getting on with their meals everyone will turn their heads to look, most of the time you’ll get a few people whooping and clapping too. You might as well embrace the glory at that point and take a bow to your adoring fans. Not everyone gets a round of applause for doing their job so enjoy the moment. You’ve served a huge group of about 14 people, and you are already expecting them to want to split the bill. 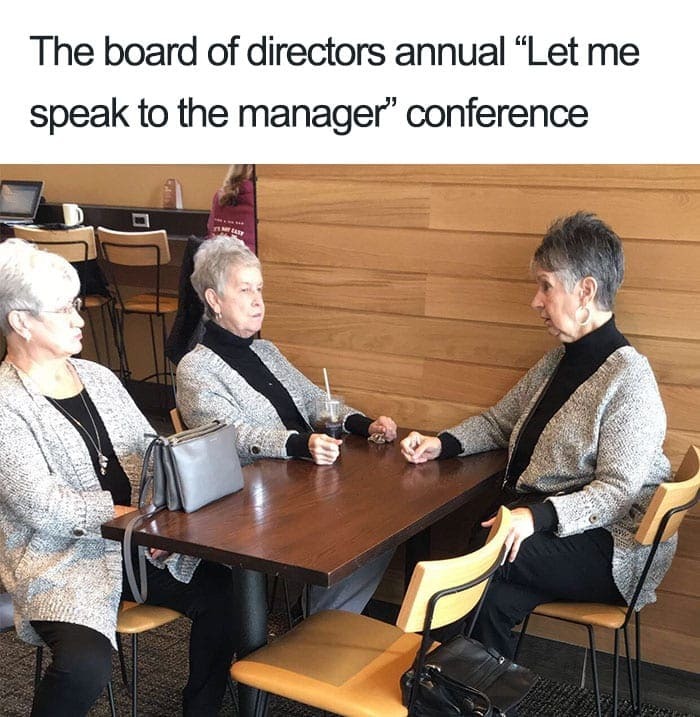 It pretty much always happens, so you’ve got the calculator on standby for when they need to divide their appetizers by seven and the drinks by nine. 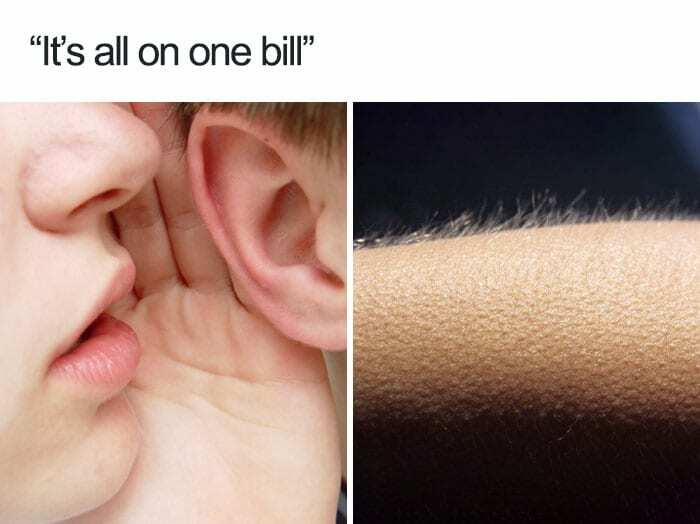 The person who asked for the bill utters the magic words, “it’s all on one bill” to you, and you get chills. They have just made your life so easy, this is one of those moments you can enjoy as it happens so rarely. 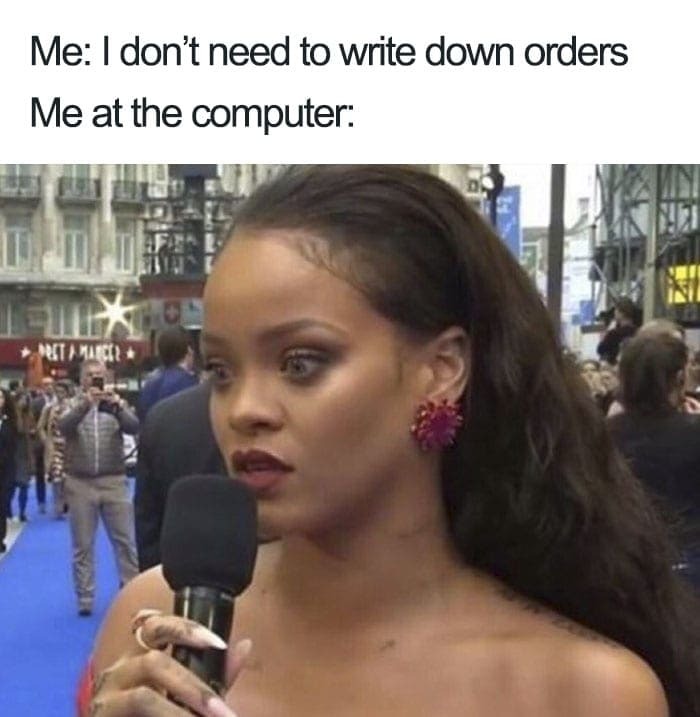 Who needs to write stuff down? There comes a time in many waiting staff’s lives where they think they should try and be one of those cool people who take orders without having to write anything down. You want to try, and you reckon you’ll save yourself loads of time, allowing you to concentrate on giving a better service to the customers. You’ve listened intently to everybody making their order, and you’re on your way to write it up. You literally cannot remember one single thing they said to you, looks like it’s back to the notepad next time! You are rushing around dealing with so many different things you think it’s pretty clear you are busy. You just need to quickly nip through the tables to pick something up and hope that no one will stop you en route. As you are carrying a load of glasses and plates back to the kitchen, you get stopped by someone who isn’t even sure they know what they want. Struggling under the strain of everything you are carrying you now have to remember table 23 needs a new spoon. If you’ve ever had to deal with a pretty horrible group of customers, you’ll recognize this threat. 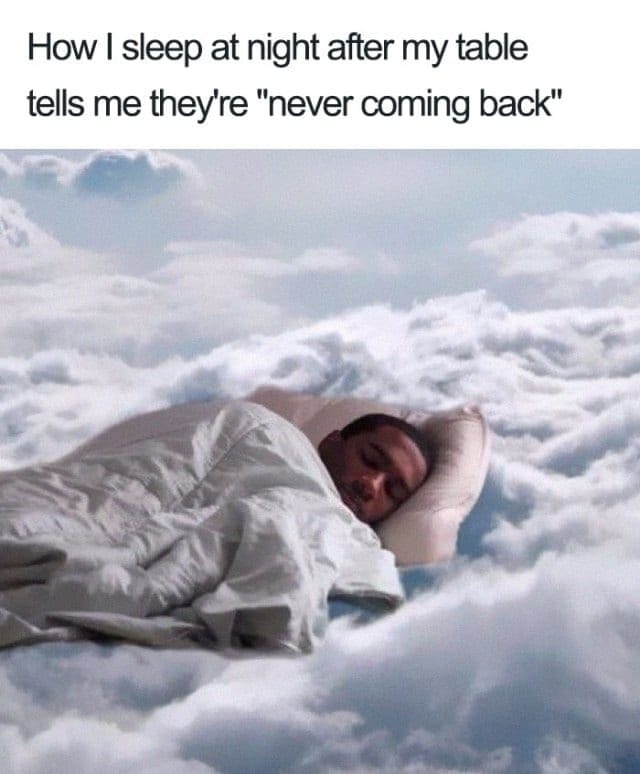 By claiming they are never going to come back, they somehow feel as though this is meant to be a bad thing. You’re pretty sure you won’t be losing any sleep over it this evening, in fact, you’ve done everybody in the restaurant a favor by making sure they’ll never have to deal with those customers ever again. Hopefully, they keep their TripAdvisor review to themselves though! Sometimes there are just those customers that refuse to leave the building. You’ve tried talking really loudly about the closing time so they can hear and you begin to sweep the floor by their table. They aren’t moving. It seems as though the only way you’re getting out of work today is if you pull the fire alarm. Sometimes your customers are comfortable in your restaurant, which is great, but occasionally they can overstay their welcome. Some shifts feel like your backs are against the wall, and all your effort goes into getting through them, at all costs. It isn’t going to be pretty, you’re going to make mistakes, but if you all pull together, you can make it. There is nothing quite like the relief of getting through a stinker of a shift with your colleagues. It’ll make that post-work drink taste all the sweeter, and you’ll be trading your evening’s experiences like they were war stories. Your entire family are gathering around your grandparent’s house for Christmas, it is the first time in almost ten years you are all together. Well, almost everybody. You have asked to get the time off in the summer, just to give yourself a slim chance of being able to have the time off. 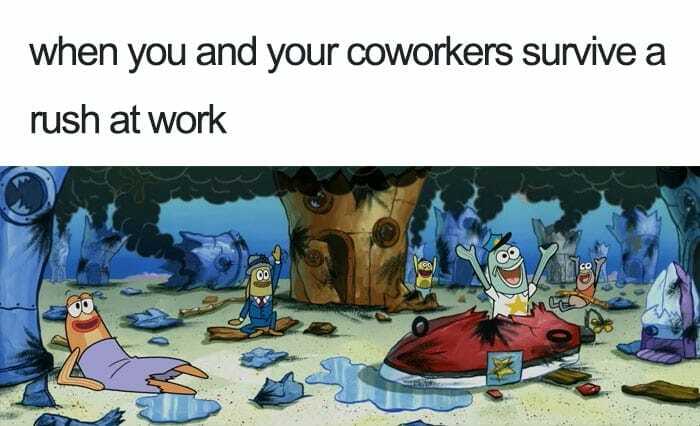 A week before you’re due to get time off there’s a crisis, and you’re called back in. It’s an incredibly busy time of the year and getting time off is practically impossible, it’s better not to even ask. When you work with people at a restaurant, it almost feels as though they are your brothers and sisters in arms. You go through battles together, and you form close bonds based on those shared experiences. As far as you guys are concerned, you’re great friends, but that only lasts until one of you leaves, then you’re pretty much forgotten about instantly. At least you’ll always have the memories, and when you bump into each other in ten years time, you can fondly reminisce all the good times again. You can be having just the worst day of your life, but your customers would never be able to tell, you’re a true professional. 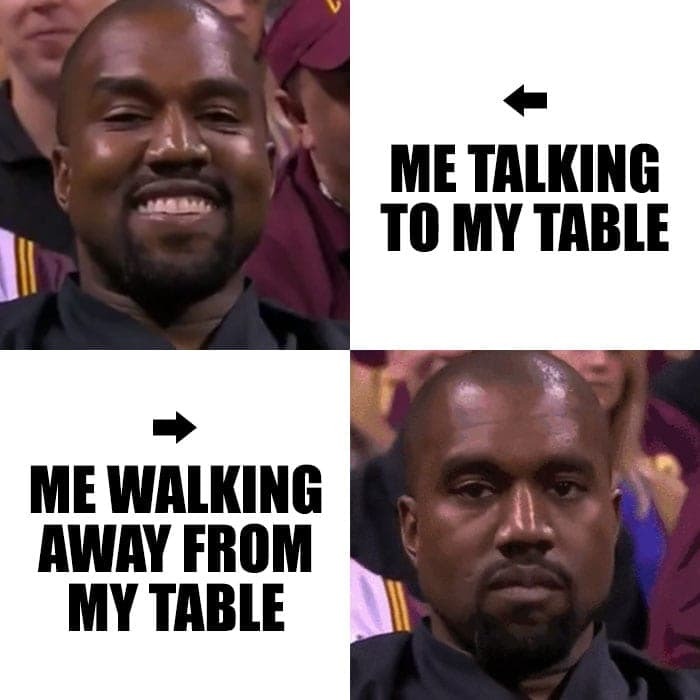 As you are facing your table, taking orders you are all smiles but as soon as you start walking away your face is telling a totally different story. All your colleagues can see you aren’t having a good time, but as far as your customers are concerned, you are great. Your tip at the end makes all the false smiles worth it. Sometimes the allure of cold hard cash is just too hard to turn down. 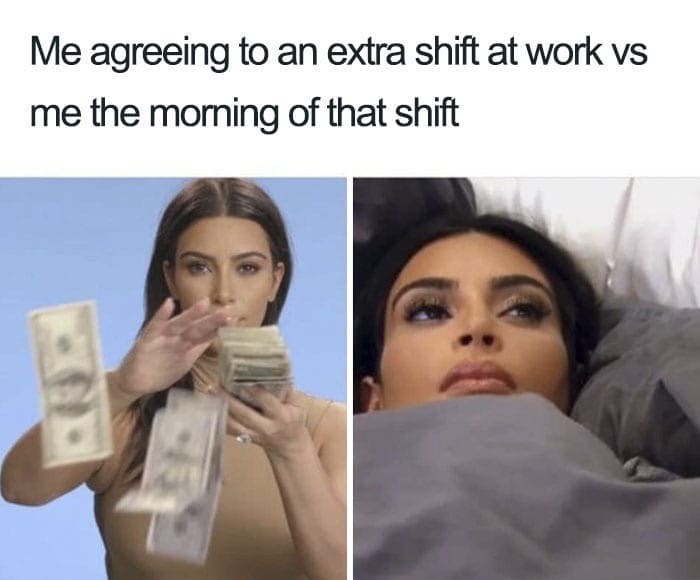 Your manager offers you some extra shifts, and you’re in a good mood so you agree to do them sadly now the time has come where you have to leave home and go to work, but you’re just lying in bed wishing the world would go away for the day. You are just left asking yourself one little question. Why did you agree to do it? 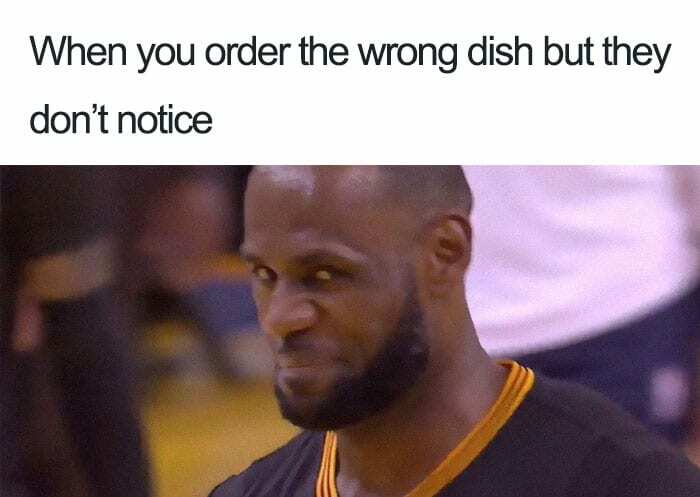 You haven’t realized your error and put the wrong dish in someone’s order. As you are bringing the food to their table, you realize that one of these dishes doesn’t belong here. Someone is about to get the wrong meal. You tentatively leave the unwanted dish in front of the person not getting their order and hope they don’t notice. They don’t mention it and even left a tip, how did you get away with that? If you were a cat, you’d have lost one of your nine lives for sure. This has happened so many times. You offered to help the drink station out and cut up slices of lemons and limes to put in people drinks. 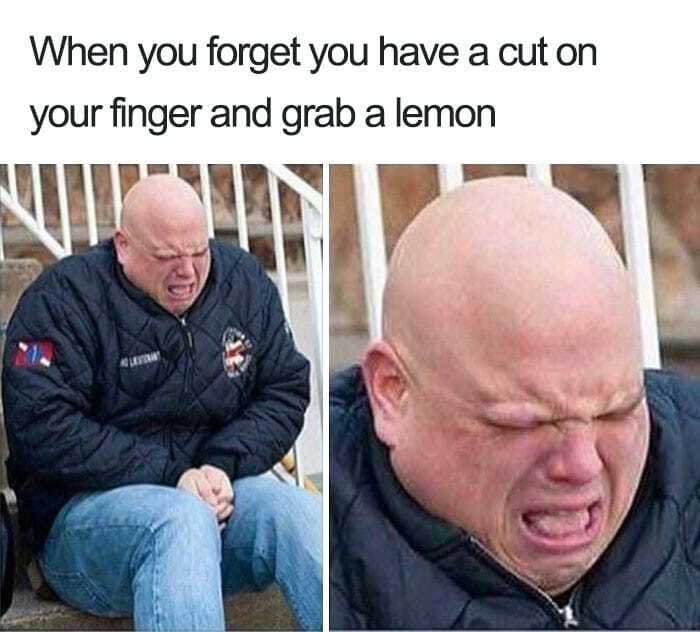 Later on in the evening you’ve forgotten all about the cut, and you grab a few lemons to put in people’s drinks, this is literally the face you pull every time. You’d think for such a reaction you’d remember for next time, but 20 minutes later you’ve done the same thing again! It’s happened too often for it just to be a coincidence, people really do want to skip paying the bill at any cost. Sure, they’ve just eaten the entire meal and left the stuff they don’t like, but clearly they weren’t happy with their food. Instead of letting us know at the start of your meal, when asked “is everything alright with your meal?” you chose to continue eating. Pretty sure you won’t be getting a cheaper bill just because you’re feeling cheap. 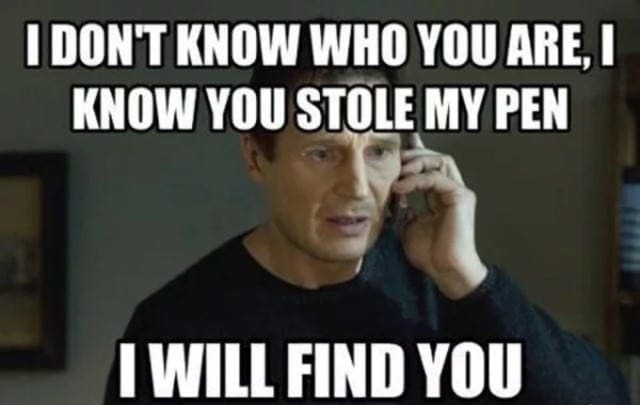 There is someone out there who just keeps stealing pens, no matter how much you need the pen someone will swipe it. It’s okay, we know that the pen ninja is eventually going to get their comeuppance. The day they desperately need a pen of their own, they’ll have lost them all and no one nearby will have any pens to loan them. Karma’s coming for those pen thieves and that day will arrive sooner than they think! Some people just don’t seem to understand that waiting staff are not slaves. Sure, we might be there to make your life easier so you don’t have to cook your food yourself but that doesn’t mean you can treat us like dirt. What happened to having a little manners? 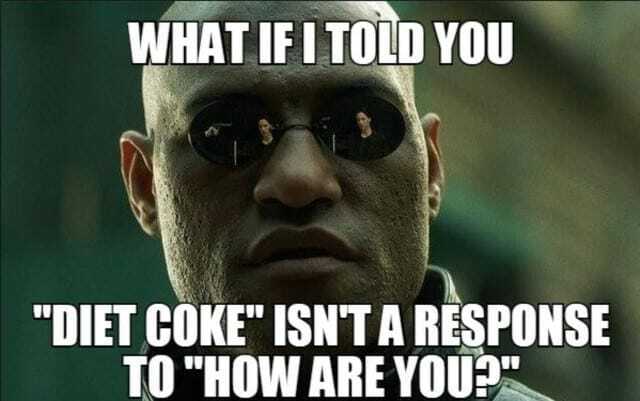 You;re too good to respond to a simple greeting? 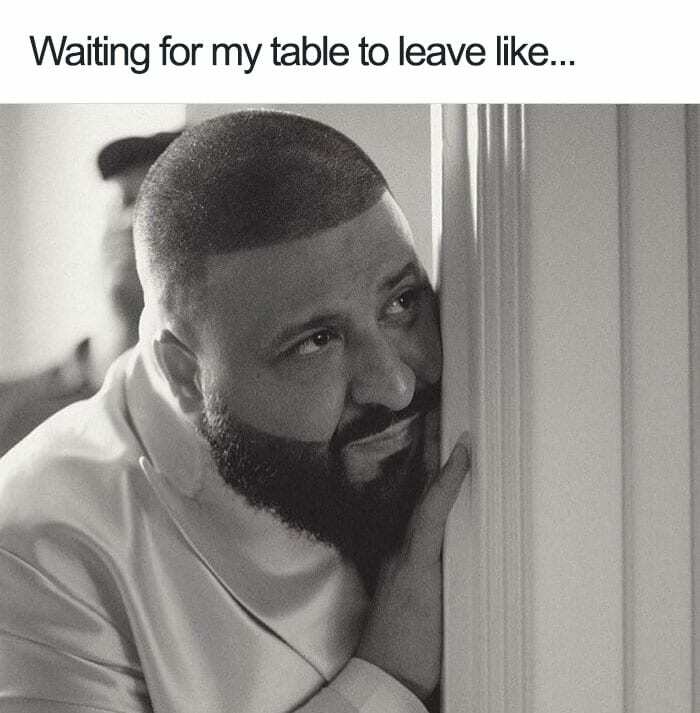 Hopefully your food doesn’t fall on the floor on its way out from the kitchen to your table. You’ve worked six days straight and you’ve been waiting for this day off for so long. 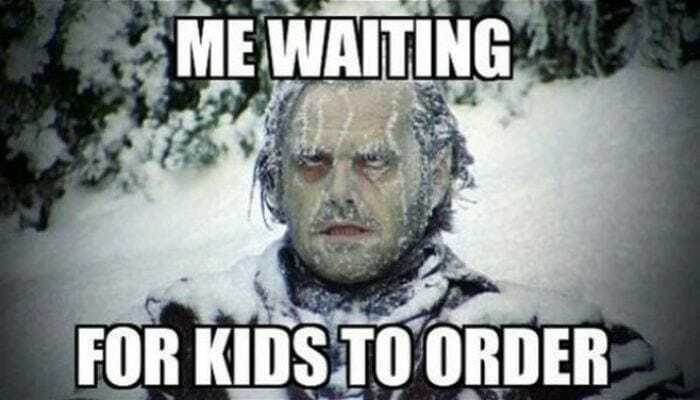 Each day you’ve been working the weather has been amazing and everyone keeps coming into your restaurant in summer wear, but deep down you know you aren’t going to enjoy the weather. It seems as though the universe is against you and the second your shift ends before a day off the rain starts and it just doesn’t let up until you’re back at work. There are some days at the restaurant where you just get to coast through everything, having just enough tables to keep you busy without running you ragged. Oh wait, no there aren’t. Sure you might have only had two tables to deal with but you know that at any second a stampede of customers are coming through the door and they’ll all get seated in your section. At least you know you’ll be busy for the next couple of hours! Some restaurants have really ruined birthdays for the majority of eating establishments that don’t sing for people’s birthdays. People come along to a restaurant and ask the waiting staff to bring the cake they brought out with candles in it, that’s fine. Expecting us to sing for you too? No thanks. 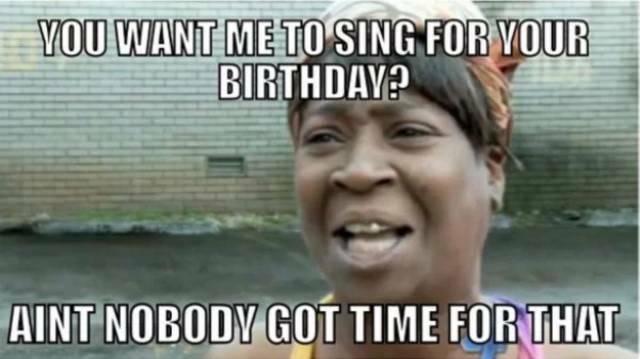 We’ll happily bring it out for you, but drop everything and sing for a minute? We’ve still got fur more tables on the go and they all have food coming out, you guys go ahead and sing without me. 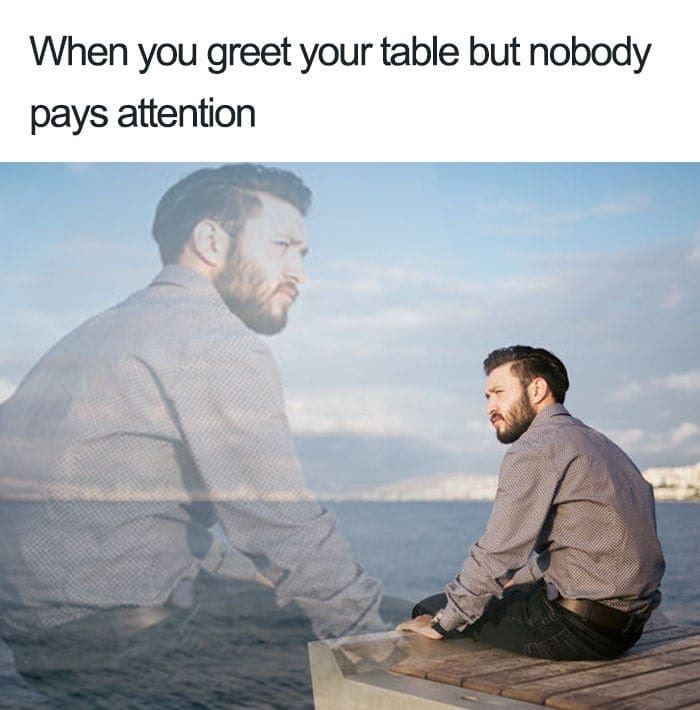 You can almost feel the tumbleweed hit you as you look around at the faces of your table, hoping just one person at least acknowledges your presence. Apparently you are both invisible and silent, until they decided it’s time for them to eat and you are holding everything up by serving another table. Now you’ll have their attention alright! It can be pretty annoying as it isn’t much to ask that some people have a little common decency. 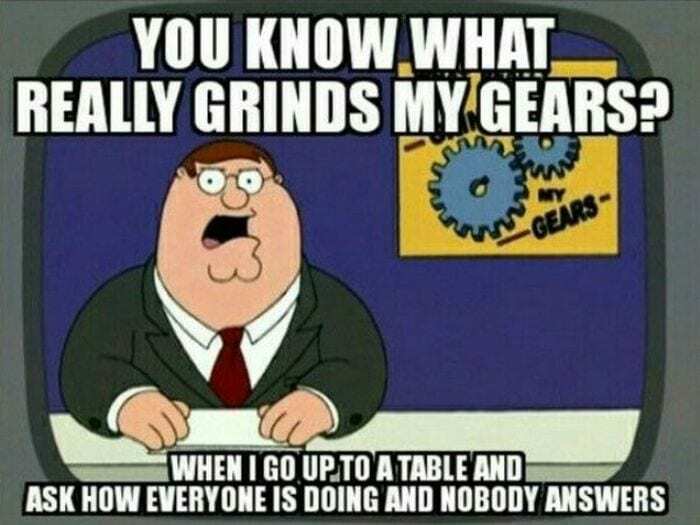 The life of a server is a complicated one. Not liking to be too busy but not liking the work to be slow either. The only way to get through both extremes is to spend most of your time complaining about it all. You thought customers liked to complain? Just spend some time with the people who spend their lives serving them, you’ll find the complaining is actually a two-way street and servers do their fair share of complaining too. 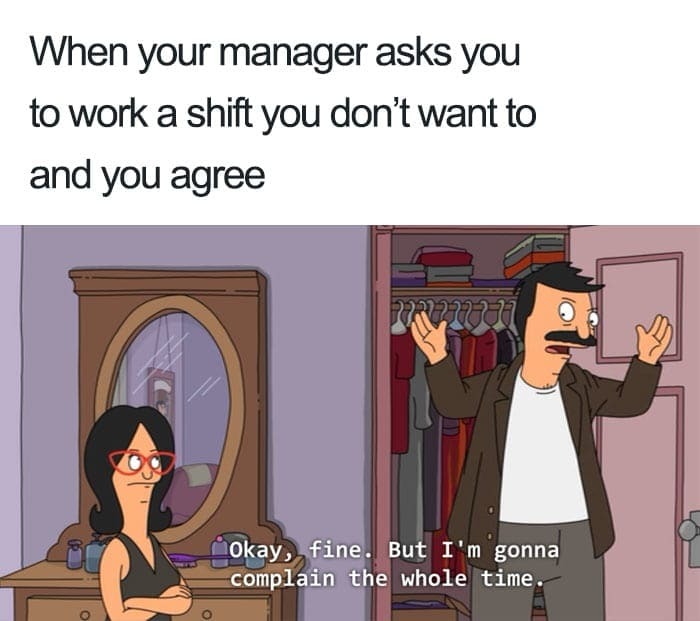 You could be in the middle of a family crisis, but your manager is still going to try and make you come in. 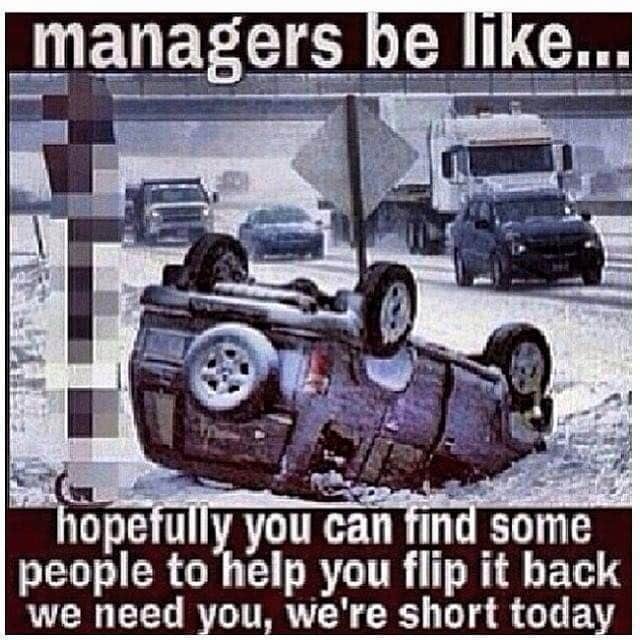 They’re snowed under at the restaurant, so you better find a way to get into work and help out, no matter what your problem is. It always seems to be the case that anytime you’re having trouble the restaurant is magically short of staff. Then you make the effort to get into work and they’ve found someone else to help out and you weren’t needed after all! It’s not children’s fault they can be so indecisive, they are young and don’t know everything they like and don’t like yet. Because they are unsure, they have no idea what they want, and not having had to work a day in their lives have no understanding of time management. Sure you are very clearly stressed, but you can be sure the children ordering at the table have no idea and will take their time ordering, causing you to be further and further behind.